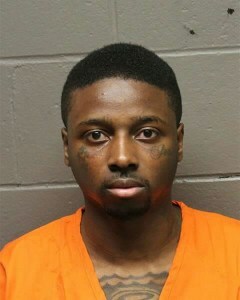 A Trenton man pleaded guilty Wednesday in the drug-related deaths of two Atlantic County men last year. Jonathan Porter, 27, admitted to selling the fentanyl/heroin that killed Tuan Tran and David Hinkley. He faces two concurrent 14-year terms when he is sentenced in February. Porter admitted selling fentanyl or heroin to Tuan Tran, 31, of Galloway Township, on Sept. 23, 2017. Tran died the next day. He also sold a fatal dose to 52-year-old Hinkley on Oct. 18, 2017. Hinkley died in his Somers Point home. Porter also pleaded guilty in other pending drug cases for which he had been indicted. He pleaded to the criminal complaint charging him with two counts of strict liability homicide, waiving his right to have it brought before the grand jury for indictment. All of Porter’s charges are to be sentenced concurrently, which means he faces overall a 14-year sentence. Under the No Early Release Act, he would have to serve at least 11 years 10 months and about a week before he would be eligible for parole.